The benefits of receiving Home Care Services mare many! Retire-At-Home can help you or a loved remain safe and comfortable! Our team at Retire-At-Home Services in Toronto, East York and North York can provide any level or care to help your family find the peace of mind you need so that you can rest easy. We are committed to finding you the right caregiver to give you the individualized care that you need. 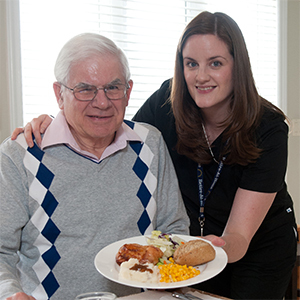 Experience the benefits of having personal elderly home care services. Our caregivers; we pride ourselves on recruiting the most caring, compassionate and capable staff that Toronto has to offer.